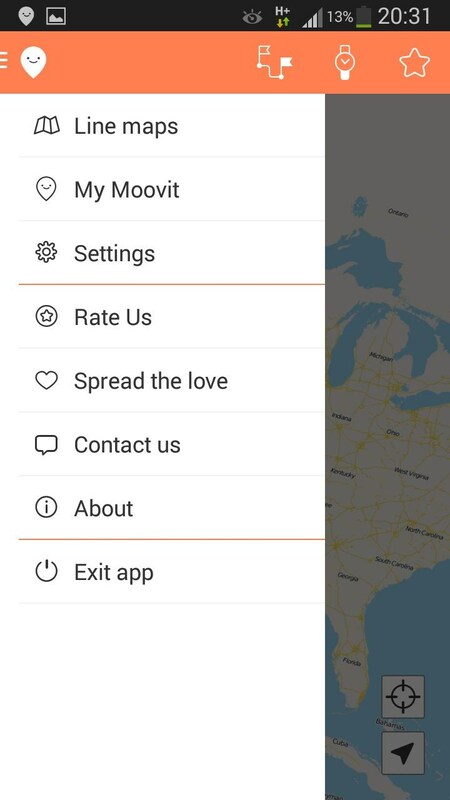 Moovit – Soft for Android 2018 – Free download. 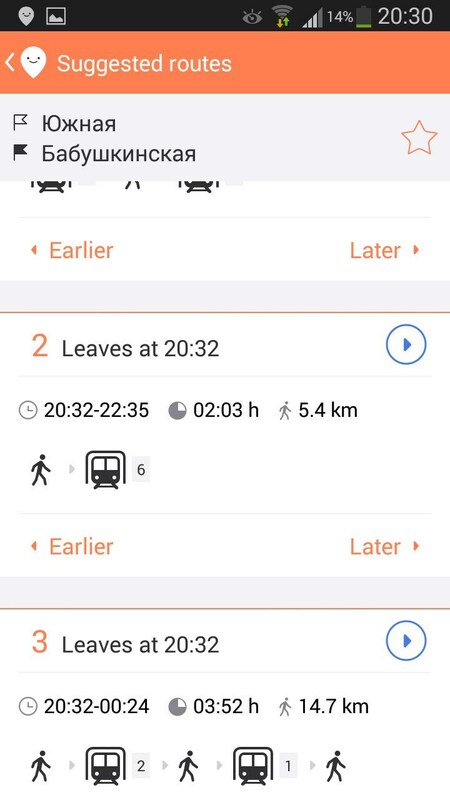 Moovit – Intelligent route planner. 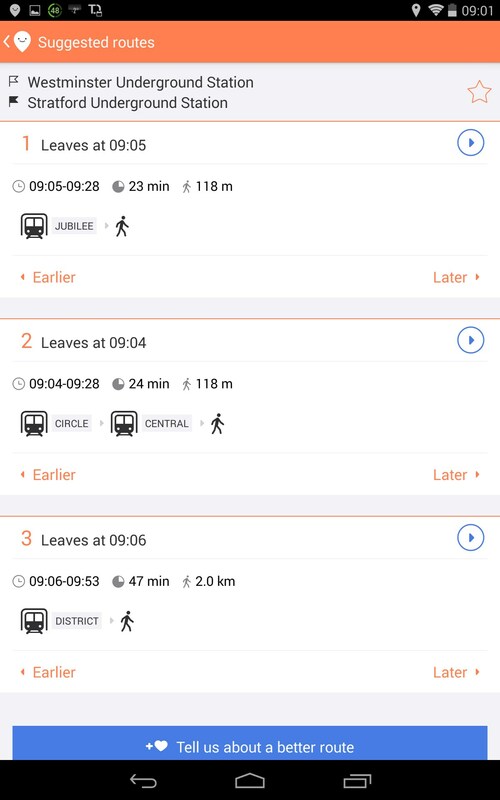 Moovit is an intelligent, multifunctional, and all-in-one route planner application for Android devices that will never let you get lost or lose your bus/train irrespective of where you are at the moment. 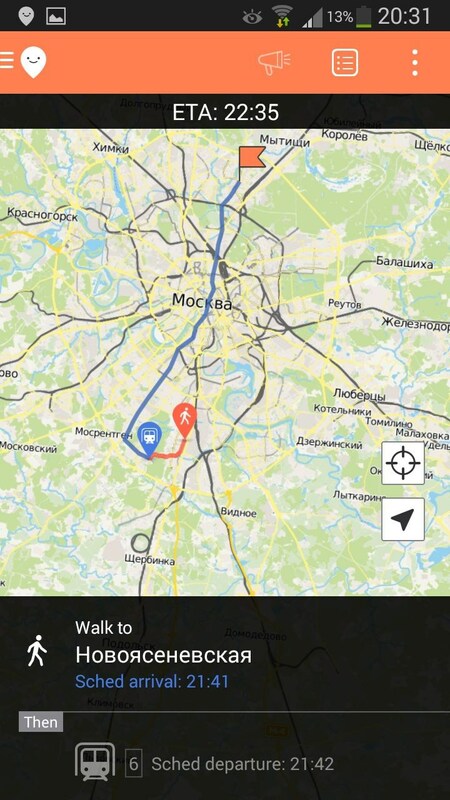 The application considers all possible factors that can make you run late and helps you plan the quickest and most convenient route. 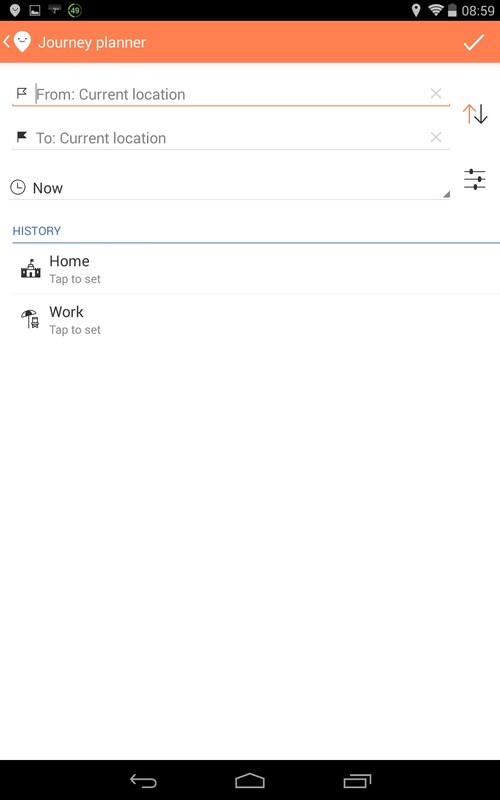 The app, which is cross-platform, was released by the same-named company. 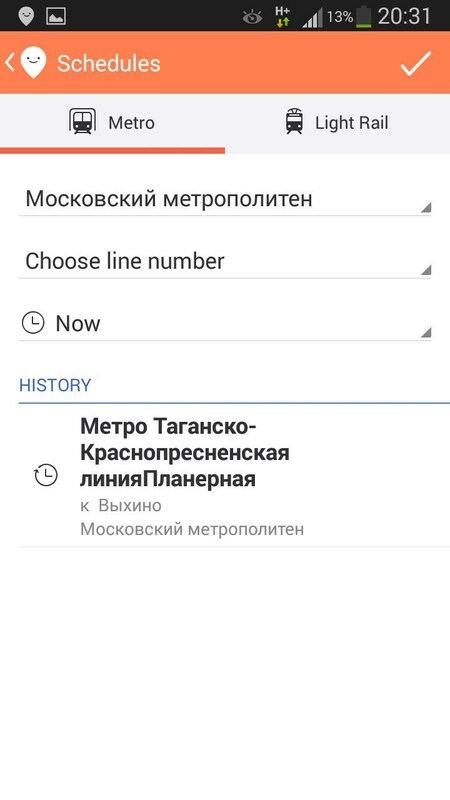 It features a stylish colorful design, lots of extra features, and supports many languages. 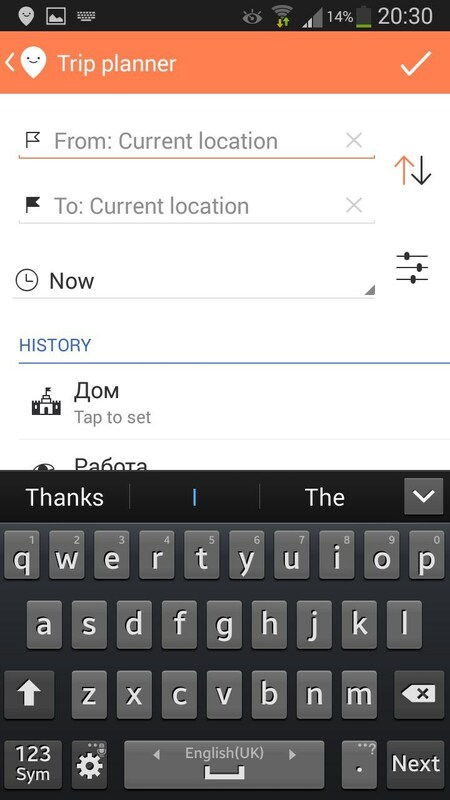 The key advantage of this app is that every time you use it, you contribute to its information base. 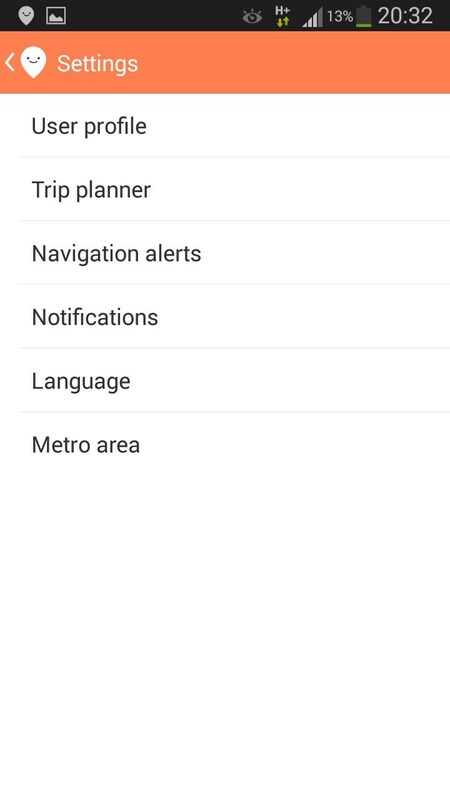 Once the app has been installed, it will automatically detect your location. 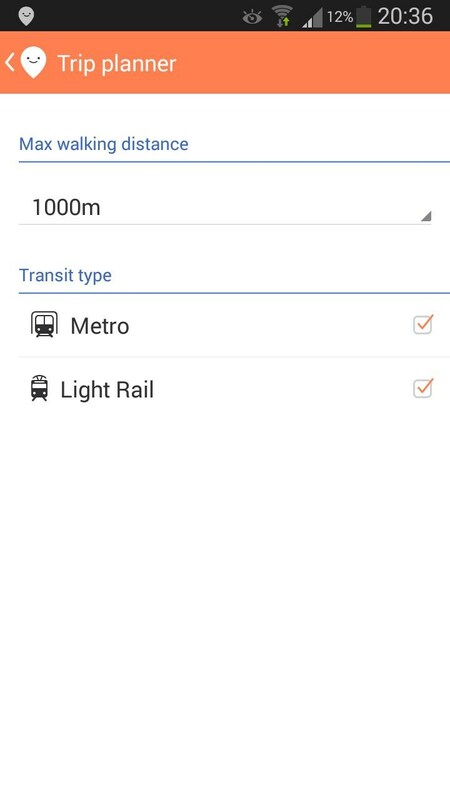 However, you can change the location in the app settings in case you would like to plan your trip way ahead. 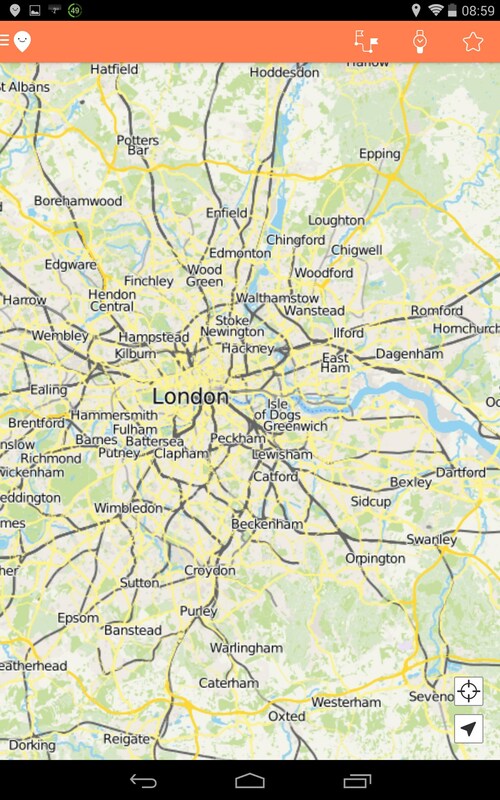 The main app window will always show your current location as a smiling point. 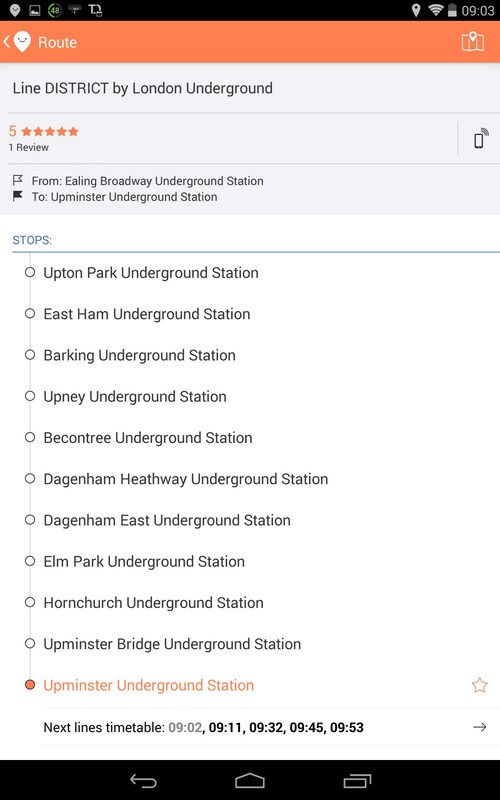 By choosing items located in the upper menu you can plan your journey from A to B, check the public transport schedules and service alerts, and add your favorite locations like home or work for easy planning of routes. 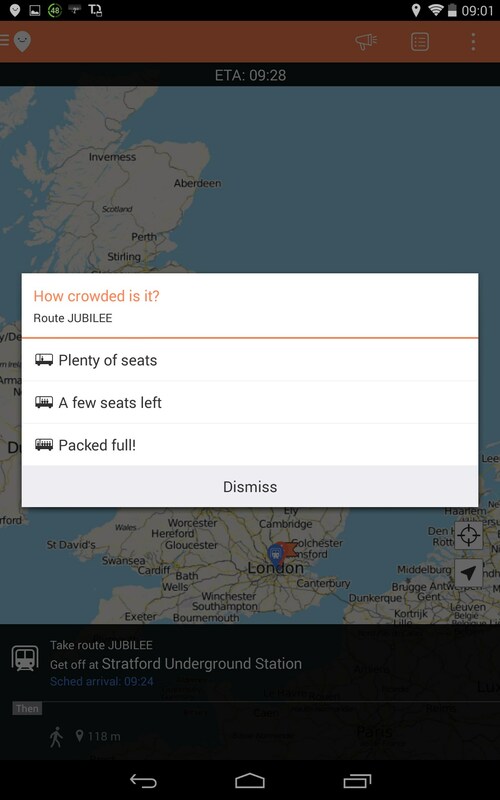 When you’ve planned your route, the app will give you detailed directions to the destination point together with any transport issues that may pop up on the way. 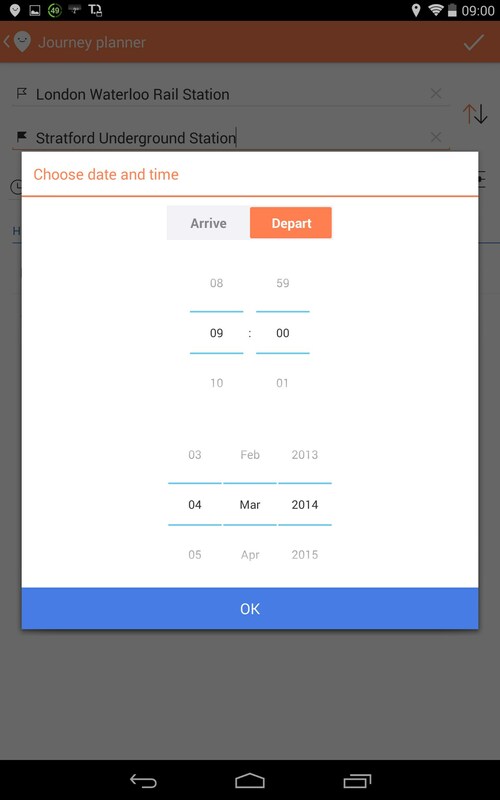 The program also remembers your routes so that you don’t need to plan the same route for many times. 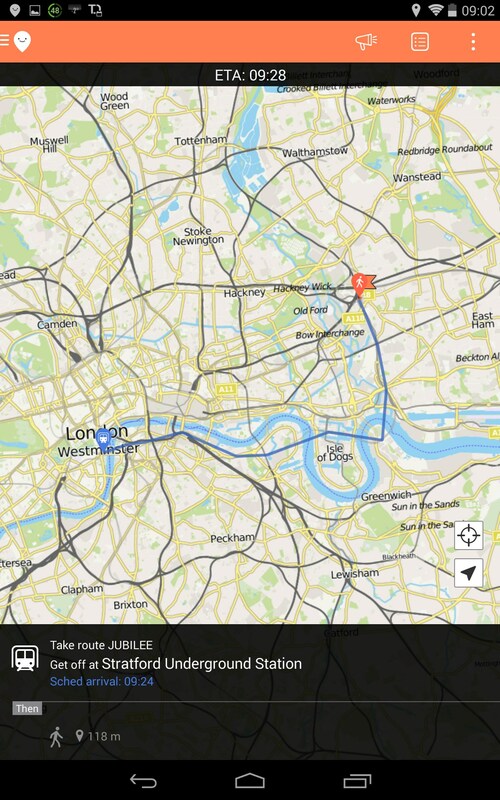 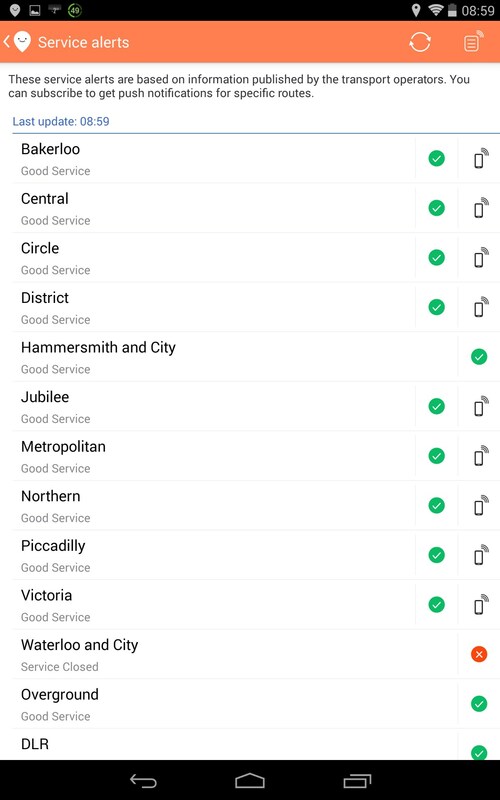 The app remembers your common routes. 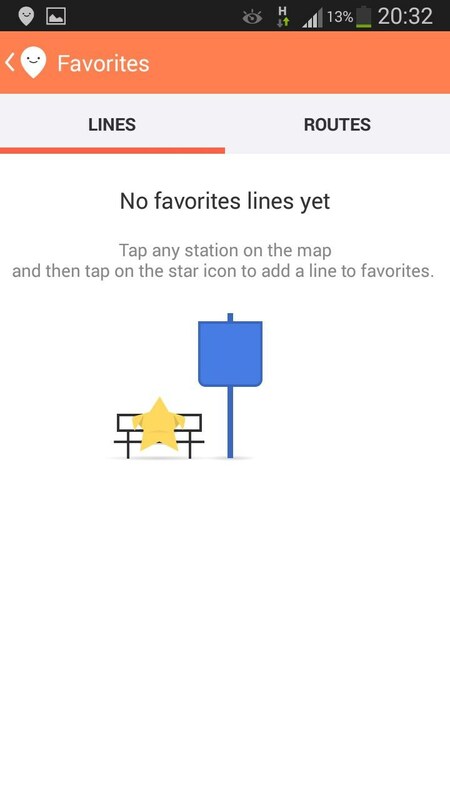 And though the app is distributed completely for free and doesn’t have built-in ads, its interface could have been made in an easier way. 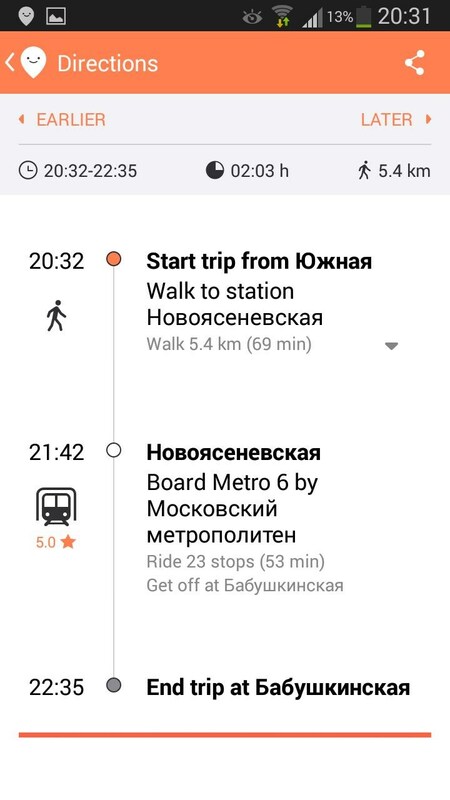 Moovit is a great all-in-one route planner app for Android that will become your best aid in finding the shortest and most convenient way to the destination point through concrete jungle.